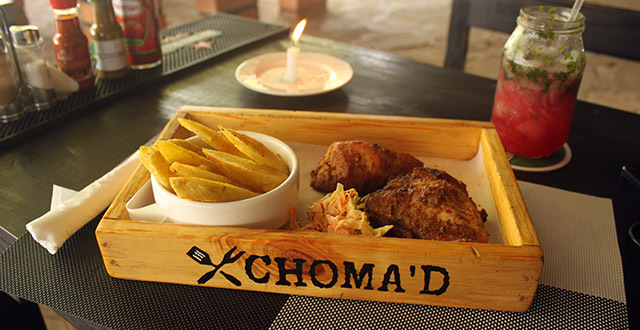 what do gorillas eat, The Mountain Gorilla Diet – The Giant Mountain Gorillas of Virunga, Bwindi and Mgahinga are herbivores. Being the largest primate on earth, they need a lot of food to survive and their diet is composed of mainly plant live. The Mountain Gorillas are known to consume over 142 plant species, they eat leaves, shoots and stems off plants and this is about 86% of their diet. 7% of their diet is composed of edible roots, 3 percent flowers and 2 percent fruits. Since the mountain Gorillas live at a high altitude, there is hardly more fruit they can consume compared to the lowland gorillas whose diet is mostly composed of fruit. The mountain Gorillas are also known to occasionally eat ants, snails, and grubs also taking up 2% of their diet. 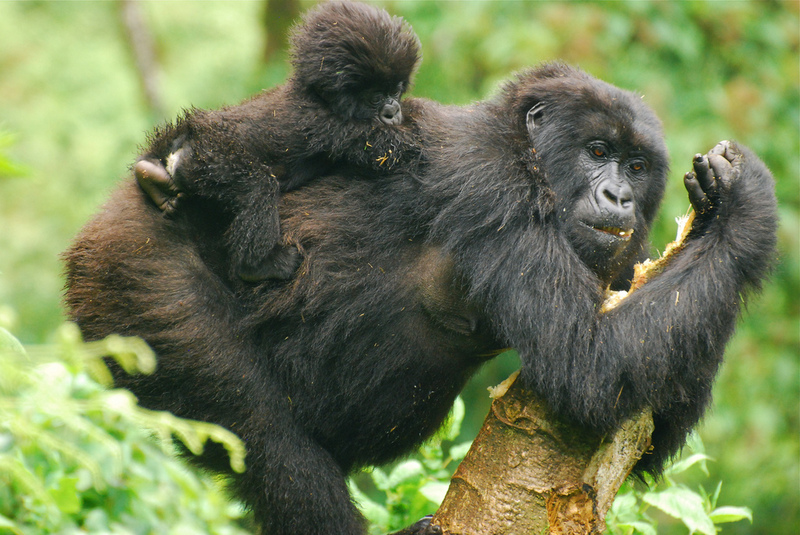 The adult mountain gorilla consumes about 18 Kilograms of food on a daily basis. The Mountain Gorillas are afraid of water and therefore do not consume it separately however, the vegetation they it is highly succulent and therefore provides the water they need to survive. The mountain gorillas are the largest and by far the strongest primates on earth. They use this enormous strength to break up vegetation in order to eat the part of that plant they are interested in. Gorillas are very important in their ecological niche, they are very selective and do not complete all the vegetation in the area they feed from. They allow for the regrowth of the vegetation, and are constantly rotating from one place to another. Their feeding habit therefore allows for quick replenishment to occur. 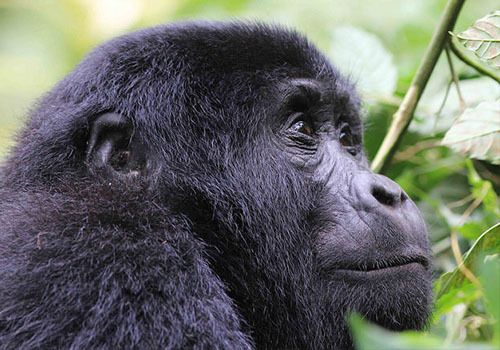 The Mountain Gorillas are selective foragers, they eat different parts of different plants. For instance they may only consume a root of a particular plant, stem of the other, leaves and fruit of another etc. When you book a gorilla trekking tour with Adventure in the wild safaris, some of the interesting thing to look forward too is to observe the mountain gorillas feeding. You will be stunned by how the Gorilla’s breakdown large plants to feed on. 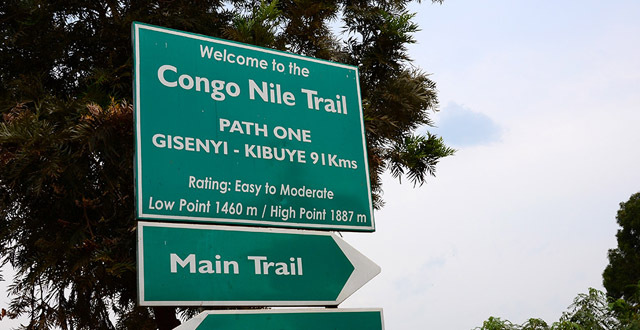 We offer several Uganda Gorilla trekking tours, Rwanda Gorilla tours and Congo Virunga Gorilla safaris.